Interpretive signage for Philadelphia Water Department's Green City, Clean Waters program. 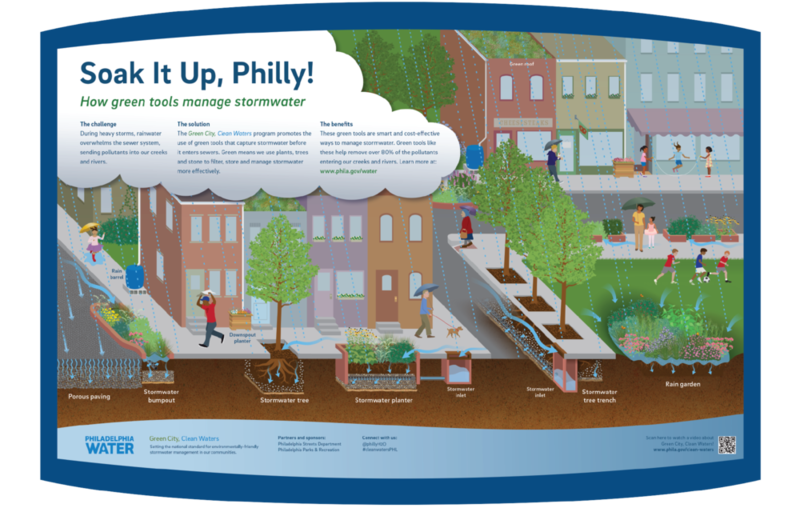 I illustrated and designed over a dozen panels that explain green stormwater infrastructure tools. These signs are deployed throughout the city to educate residents about the green projects in their neighborhood.